Work to develop the 1000 North Community Reinvestment Area continues with sale negotiations and interlocal agreements. 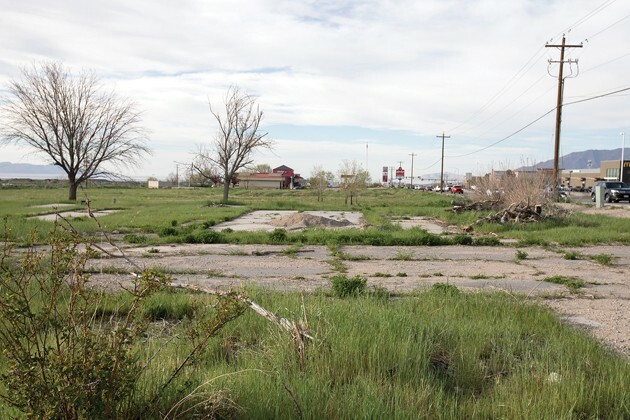 While the Tooele City Redevelopment Agency works toward finalizing the sale of commercial land it owns along Main Street to a developer, it is also putting policies in place that will provide RDA funding for the project. Those policies are interlocal agreements that spell out how millions of dollars of tax increment generated from the property will be diverted between the RDA and taxing entities for up to 20 years after the land is back on tax rolls and capital improvements are in place. On Jan. 16 the Tooele City Council and the City’s RDA unanimously approved an interlocal agreement that spells out tax increment participation between Tooele City Hall, the RDA, Tooele County School District and Tooele County involving the 1000 North Community Reinvestment Area. That participation calls for the RDA to receive up to $2 million in tax increment, or up to 20 years of tax increment, whichever comes first, from the project area. 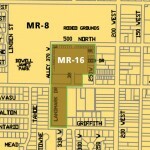 It consists of 33 acres southwest of the intersection of 1000 North and Main Street. Also under the agreement, the school district’s terms include a 50/50 split of tax increment from commercial property within the project area for 20 years, or up to $2.5 million, whichever comes first. The school district will also keep 100 percent of property tax generated from all residential development within the project area. With tax dollars combined from both commercial and residential developments within the project area, the math works out with the school district receiving $256,632 per year and the RDA receiving $101,098 per year, according to Randy Sant, the City’s economic development and RDA consultant. Both amounts are estimates and are based on the school district’s overall anticipated annual property tax portion of $523,333 from the project area. “In essence, what this means is that the school district’s actual participation on the entire development is only 29 percent, because it is only giving the RDA 50 percent of the commercial value and keeping 100 percent of the residential value,” Sant said in an email. The school district approved an interlocal agreement with the RDA for the project area’s tax increment in December 2017. Tax increment is the amount of additional property tax produced from an RDA project area that is under development. The increment goes to the RDA usually for a set period of time to pay for infrastructure, development incentives, and other related initiatives in the project area. RDAs are a separate legal entity that undertake or promote economic development in a project area. Such project areas are typically blighted or have fallen into disrepair and are bought and/or targeted by the RDA for commercial or business ventures. The City’s RDA is comprised of Mayor Debbie Winn and the City Council. Sant explained the proposed terms between Tooele County and the RDA have the county receiving 25 percent and the RDA 75 percent of all property tax generated from the project’s commercial and residential properties for 20 years or until a $900,000 cap is reached, whichever comes first. According to Sant, the county’s estimated annual portion is $14,416 and the RDA’s is $43,247. Both amounts are estimates and are based on Tooele County’s overall anticipated annual property tax portion of $57,663 from the total project area. He said an interlocal agreement with those terms is currently being discussed between the RDA and the County. He anticipates the county will soon adopt the agreement. Specifically between Tooele City and the RDA, the interlocal agreement approved Jan. 16 has the RDA receiving $87,705 of tax increment per year while City Hall’s take is $29,235 per year for up to 20 years or a cap of $2 million, whichever comes first. Both amounts are estimates and are based on Tooele City’s overall anticipated annual property tax portion of $116,940 from the total project area. “It’s important to note that the city and county will benefit from the sales tax generated from this development, which will be a significant benefit to these entities and more than offsets the property tax participation,” Sant said in an email. 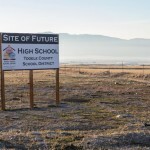 When completed, the development is anticipated to generate approximately $490,000 in new sales tax to Tooele City per year, Sant said. He said the annual sales tax portion to Tooele County is estimated at over $400,000. In summary, Sant said the three interlocal agreements will allow the RDA to collect an estimated $305,743 in property tax per year. That amount will be deducted from an estimated $533,333 in total tax increment and residential property tax generated annually from the project area. He said the $305,743 the RDA will receive represents approximately 58 percent of all the property tax generated within the project area. The 33-acre site currently is not on tax rolls because it’s owned by the RDA, Sant said. But that will change soon after the property is sold, he said. The RDA is in the process of selling it to M-53 Associates of Salt Lake City for $4.2 million for mixed commercial and residential development. The RDA bought the property for $5.1 million in 2015 from Gilad Development to assure it would be used for future commercial development instead of just for housing. It was designated an RDA project area in 2017, Sant said. Sale negotiations between the RDA and M-53 have been ongoing for several months, but are in final stages of completion with closing expected sometime this month, Sant said. A master site plan of the project area by M-53 shows retail and office buildings, parking lots and an access road that runs diagonally through the property from 200 West to Main Street. The site plan also shows residential development on the property’s west side bordering 200 West. According to Sant, the overall project by M-53 features around 120,000 square-feet of new retail space that will generate about $60 million annually in news sales. The sales tax received from new commercial activity in the project area is not subject to interlocal agreements, he said. Sant also said prospective tenants for the property have signed letters of intent to lease, and actual signed leases are expected to occur after the sale’s closing. 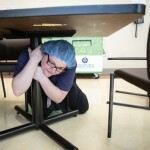 The focus is to bring in tenants that don’t already exist in the market, and hopefully a couple of restaurants, he said. A real estate purchase contract was signed between the RDA and M-53 last April. The due diligence period and closing date have been extended four times since then because of issues still under negotiation. One is the remediation of approximately 40,000 cubic yards of construction waste found buried on the property last August during a geotechnical study. Others include site plan and subdivision approvals, the disposition of a main sewer trunk line that runs underneath the project area, and access points off of 1000 North into the project area, Sant said. The $4.2 million sale price to M-53 includes a stipulation that if M-53 does not begin construction within two years after closing, it must pay the RDA another $1 million. However, Sant said the current schedule is for construction to begin in early June with some stores opening in 2021.